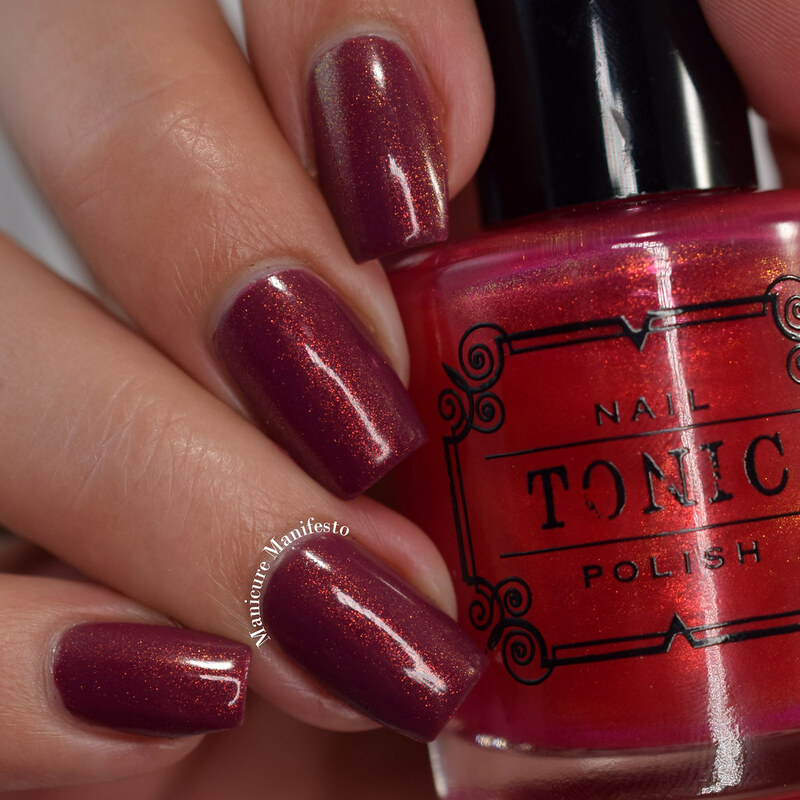 Today I have one of the shades from the recently released Tonic Polish UP Collection to share with you. Uniporn can be worn alone or as a topper and I have both looks to show you today. 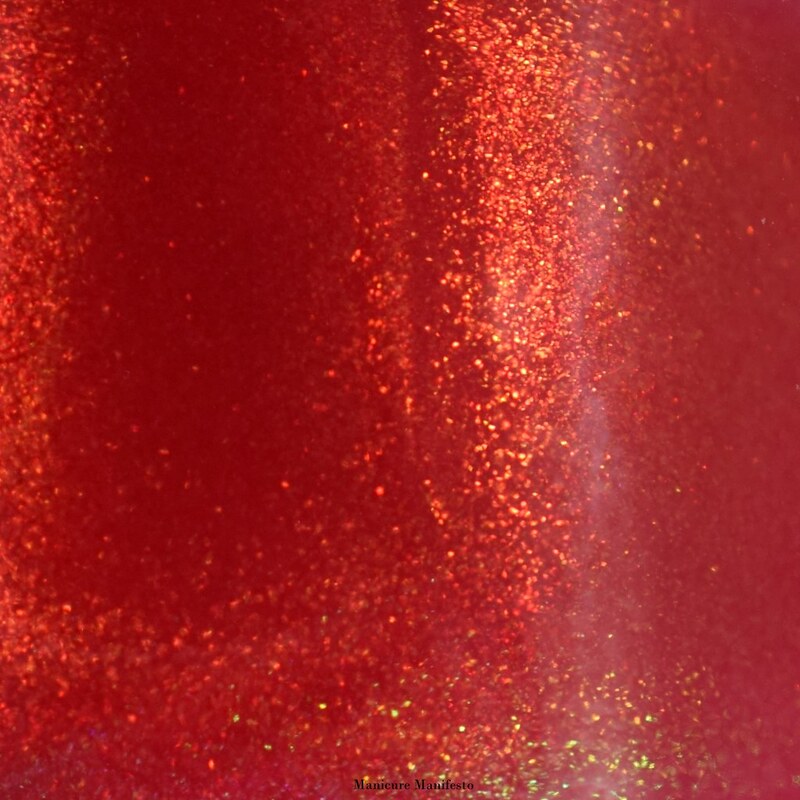 Uniporn features a sheer strawberry red jelly base filled with copper to gold to green 'unicorn pee' shifting shimmer. The formula was very easy to work. It is sheer so after three coats my nail lines do still show through a little bit. This shade dries shiny on its own, but I added top coat out of habit. 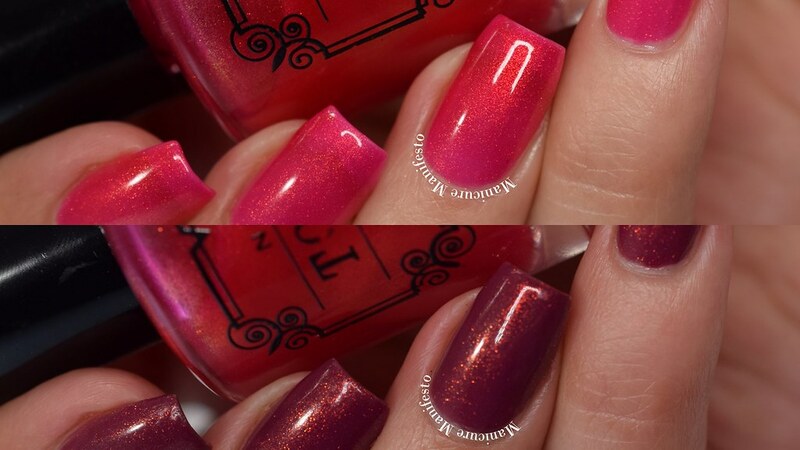 Photos show three coats of Uniporn with one coat of Girly Bits Cosmetics Glitter Glaze top coat in daylight spectrum lighting. 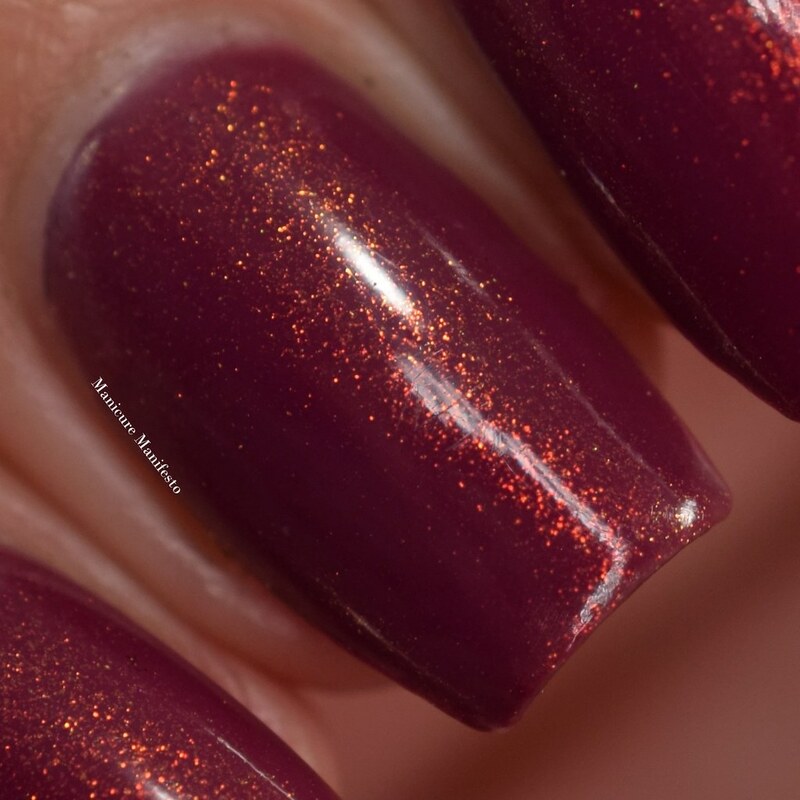 I also tried Uniporn as a topper over Zoya Joni, a smokey plum creme. I didn't have any issues getting an even single coat. 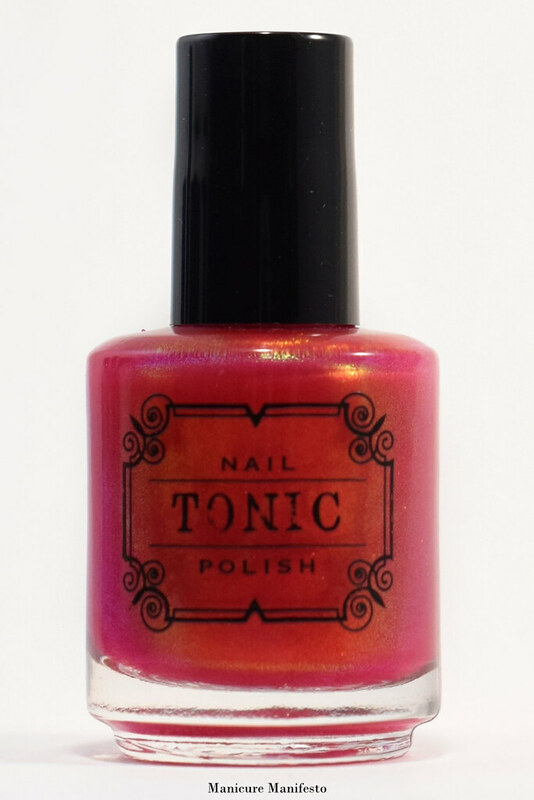 The red jelly warmed up the base colour a bit, and the shimmer contrasts nicely against a darker colour. 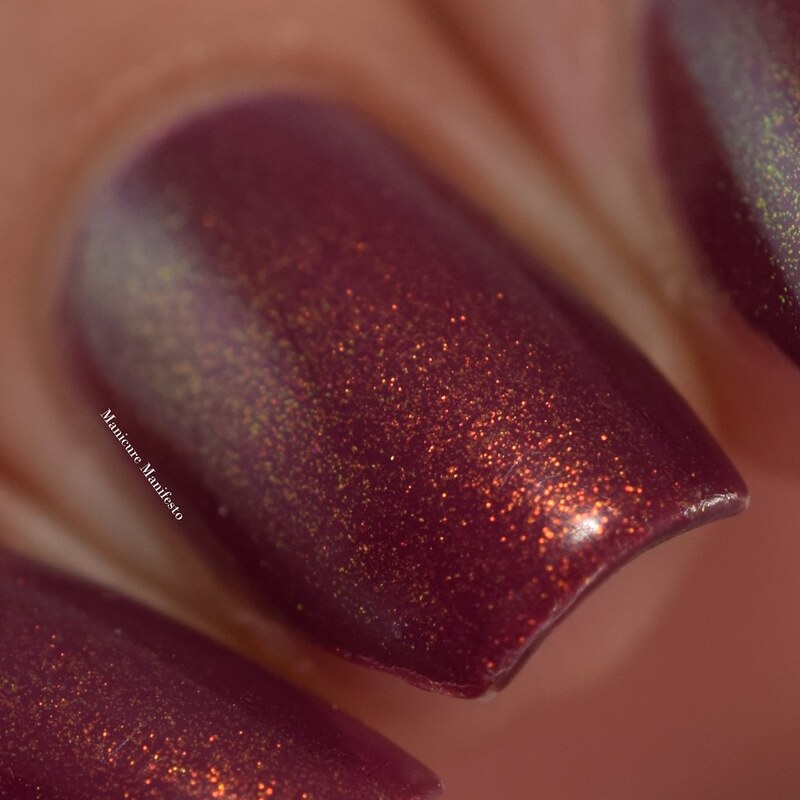 Photos show one coat of Uniporn over Zoya Joni with one coat of Girly Bits Cosmetics Glitter Glaze top coat in daylight spectrum lighting. ... and a couple more in shaded lighting so you can see the shift through gold and green.